﻿ Fluevog Shoes - Fluevog Gastown supports local theatre! Fluevog Gastown supports local theatre! Fluevog stores everywhere are happy, humbled and honoured to support a range of local organizations with fundraising events. 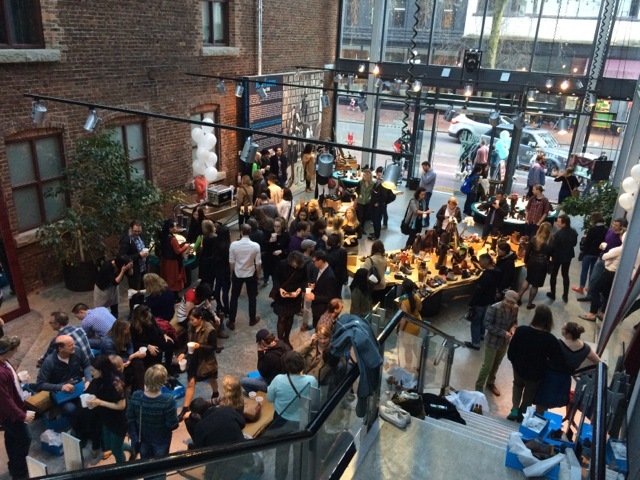 Most recently, the Fluevog flagship store in Gastown hosted one such event in collaboration with The Cultch! Their community of patrons were invited to the store and greeted with cocktails and refreshments, gathering to support the vibrant theatre company’s 45th Anniversary fund. Congrats to our friends on 45 Years of dynamic arts and culture! Here’s to many more!